Watch Jason Pritchett at Starlite Theatre as he performs a summer show in Branson. A native of Independence, MO, Jason has been a cowboy for several years riding PRCA ranked bulls until he found his passion in country music. Jason Pritchett will put back country music in Branson every last Saturday of May, June and July. His first single “Good Show” has climbed to the top 20, hitting no. 16. Jason Pritchett’s first week on the charts, made him the highest debuting country artist. Talented Jason has been gaining national attention when his new hit single “Good Show” has picked up 15 official radio ads since its release and is among the top 5 most added songs in the country. The “Buck, Twist, and Jerk” tour of Jason Pritchett has also kicked off with performances opening for Lee Brice, Tyler Farr, and Thomas Rhett. Don’t miss his summer show in Branson that is sure to cool your warm summer night. Jason has been performing in Branson for more than 13 years now and has mastered stage production. He also became a top 5 finalist on the NBC Hit T.V. show, “America’s Got Talent,” where Simon Cowell said to him, “You are a star.” He also performs weekly in the “Billy Dean Live” show at the Starlite Theatre. During Branson Landing’s 10 Year Celebration, don’t miss to watch Jason Pritchett & Steel Horses perform for you live on the Branson Landing stage. Jason was recently signed to his own record label, BDMG by the award winning country music singer and songwriter Billy Dean. Billy has begun writing songs about Jason’s life as a cowboy. Jason has an upcoming 4 songs EP titled “Independence Cowboy” and features his hit single “Good Show” as well as “Life Comes at You Fast” and “Already a Dead Man.” These four songs are written and produced by Billy Dean. At Starlite Theatre, you will discover why it is Branson’s number one theatre with the best shows in town. Grammy Award Winner Billy Dean is one of the top performers this 2016 at Starlite Theatre. The Billy Dean Live Show features Branson’s favorite comedian Jarrett Dougherty, ready to deliver an amazing evening of top hits and ridiculous antics. In this show, Billy revisits his five #1 hits, eleven top 10 singles, and new music with lots of laughs. 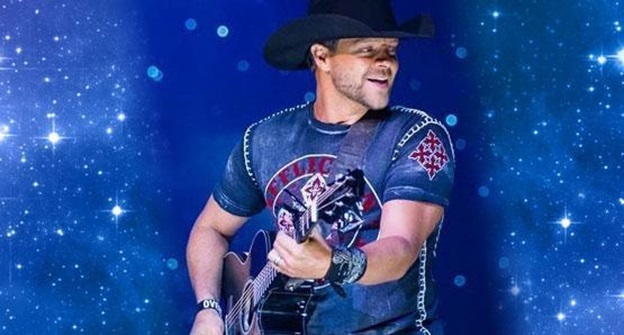 So, if you are looking for an exciting summer show in Branson, visit the Starlite Theatre where you get to see Jason Pritchette performs with his hit song “Good Show."